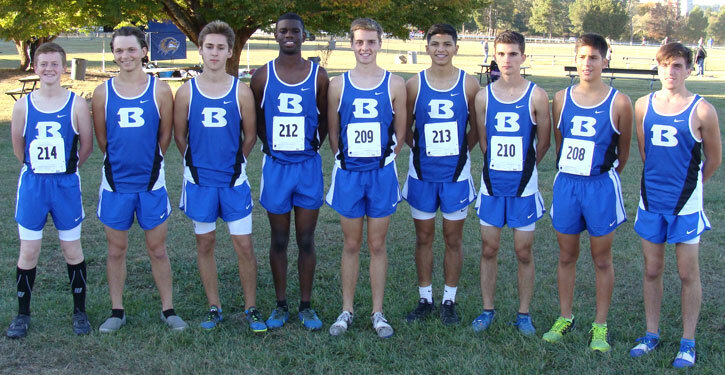 Bryant’s contingent to the Class 7A State cross country meet included, from left, Blake Shields, Colby Harvey, Decatur Austin, Demondre Johnson, John Carder, Enrique Ramos, Eathan Devine, Chris Barrientos and Kaine Villareal-Hurst. 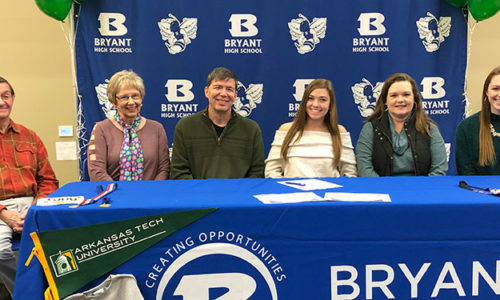 HOT SPRINGS — The Bryant Hornets finished off their season on Saturday with a sixth-place finish at the Class 7A State cross country championships at Oaklawn Park. 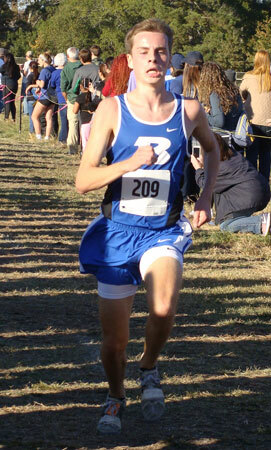 John Carder earned All-State honors for the Hornets with a 6th place finish in a time of 16:25. 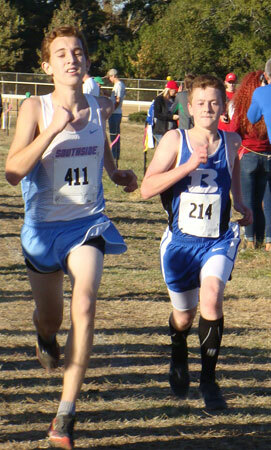 Rogers won the team championship, with Fayetteville placing second. 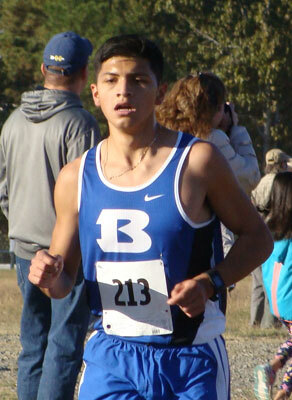 Kaine Villareal-Hurst was the second Hornet across the line, placing 41st in a time of 17:30. 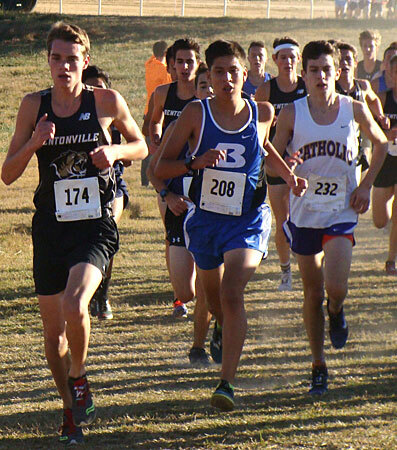 The rest of the Bryant runners were Chris Barrientos (46th in 17:38), Eathan Devine (56th in 17:52), Enrique Ramos (63rd in 18:00), Decatur Austin (73rd in18:15), Demondre Johnson (94th in 18:49), Colby Harvey (97th in 18:57), and Blake Shields (98th in 19:00). “I’m really happy for John Carder,” stated Hornets coach Steve Oury. 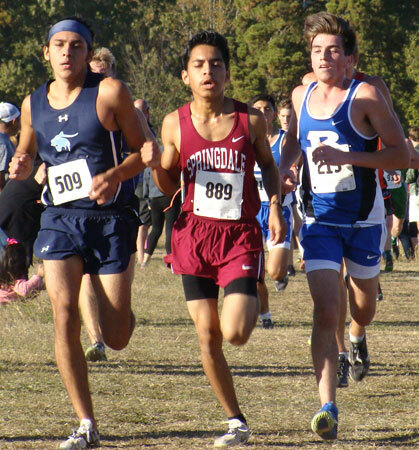 “He fought hard in the last mile. He wasn’t feeling great at that point but he really dug down and held on to sixth place. 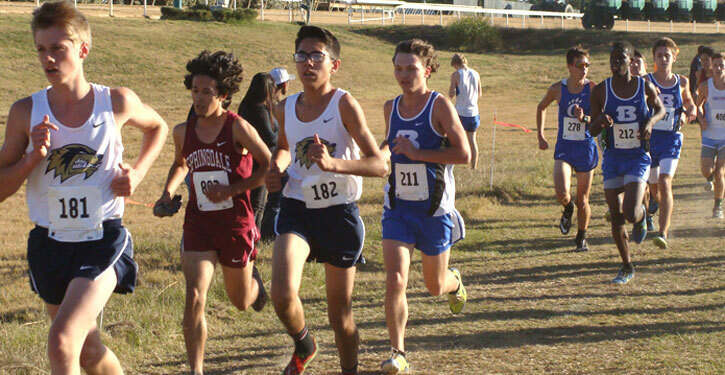 “Kaine Villareal-Hurst had his best meet of the season,” he noted. “I knew he was due for a breakthrough. 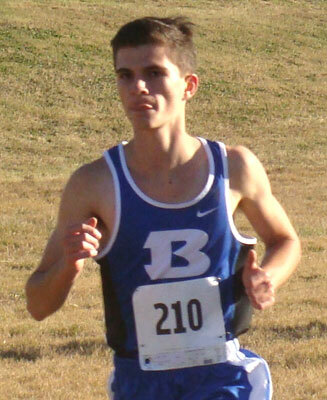 Eathan Devine also had a personal record at the best possible time.